In a world dominated by online marketing, SEO and social media articles, it’s easy for us marketers to sometimes forget the value and importance of the traditional promotional merchandise marketing methods. For us at 123Print UK we love promotional merchandise, as it plays a vital part in our business and we firmly believe in its marketing capabilities. 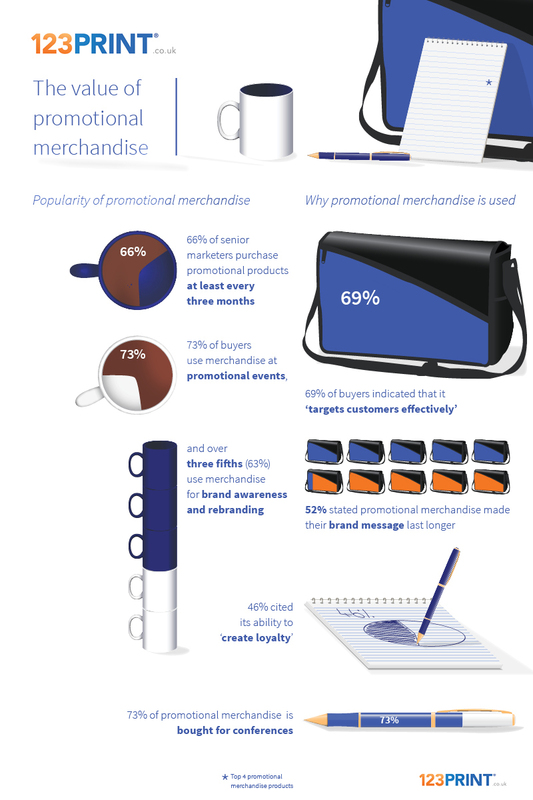 To demonstrate this we created an infographic which firmly supports the use of promotional merchandise, whilst also highlighting its benefits. Do you use promotional merchandise in your business? Share with us on our Facebook page, or comment blow. Please include attribution to 123print.co.uk with this graphic.